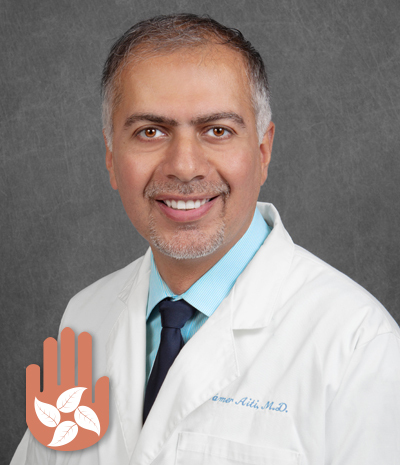 June is Hernia Awareness Month, and Dr. Tamer Aiti, General Surgeon with the Union County General Surgery Clinic in Anna, provides insight into types of hernias, symptoms, and treatment and prevention methods. An estimated 20 million hernia repairs are performed globally every year according to the National Center for Biotechnology Information. Most people have heard of this common condition, but not everyone understands what a hernia is and how to recognize one. In the simplest terms, a hernia occurs when an organ pushes through something it shouldn’t, like muscle or tissue. All hernias are caused by this combination of pressure and an opening, but hernias can appear in different parts of the body. Common places include the outer groin, belly button, upper stomach or through an abdominal incision or scar. However, more than 70 percent of hernias occur in the inner groin and are referred to as inguinal hernias, which are 25 times more likely to affect men than women. When a portion of the intestine becomes so firmly wedged against the abdominal wall that it cuts off the blood supply, a strangulated hernia occurs. It is accompanied by severe pain, nausea, vomiting and constipation, and could be life-threatening. You should seek immediate medical attention if you experience these types of intense symptoms. An untreated hernia in adults will not go away, but the good news is hernias are treatable. If you are not experiencing any pain or complications, your doctor may choose to simply watch the hernia to make sure it does not cause further problems. If your hernia is growing larger or causing pain; however, your doctor may recommend surgery to repair the opening. To lessen your chances of getting a hernia, consider not smoking, maintaining a healthy body weight, avoid straining during bowel movements, using good form when lifting objects or heavy weights, and seeing a doctor for chronic coughs or constipation. Contact the Union County General Surgery Clinic for more information on hernias by calling 618-833-2872 or visit www.UCGeneralSurgery.com.